Preaching Radical and Orthodox brings together sermons from of the leading proponents of Radical Orthodoxy, including Stanley Hauerwas, Graham Ward and John Milbank. Structured around the church year, the book views the seasons through the lens of Radical Orthodox preaching. With the beginning of the Advent season just days away, we thought it would be apt to offer an extract from the book. In the following brief essay which introduces the section on Advent, editors Alison Milbank, John Hughes and Arabella Milbank consider the work of Advent preaching. Preaching as a sacramental act is already a reordering of time, in which the saving acts of God are made present and available to the listener. When the liturgical cycle begins in Advent we start the new life, against the dictates of the secular calendar, in the old year, commencing with this the re-establishment of God’s time as our primary medium of experience. A parody of Advent theology awaits reclamation in the already/not yet of secular commercial anticipation: the Christmas Spice latte in late October, and beyond December 25th only a Boxing Day Sale of Judgement when the value of the gift receipts is made all too plain. Unlike the secular version where the tinselled festivity, referring to no higher good or indeed further time, offers as its climax only more of the same, Advent’s urgent expectancy works with the natural coloration of time as the year descends into the wild darkness of the December days prior to the solstice. And a birth from a virgin at the fullness of time. And a coming before all eyes, still in the future. The believer holds together the awaiting of the incarnate God’s arrival at Christmas, the birthing in her own heart like the dew on the fleece given as a sign to Gideon, and the final arrival at the eschaton. In the first awaiting, the believers also recapitulate the history of the people of Israel as they look for the promised Saviour. Time and history is narrated as it points to Christ, and we are invited to reach across temporal divisions, and against the economic values given to time, to reclaim our own time’s eternal value as part of this story. The richness of this temporal unfolding is lost when the second coming is underplayed, as so often in contemporary preaching. Only with that final reality can evil be held to account, and our resurrection life be asserted. Only with imminence is immanence realized, Christ’s coming as fully historical from Judea to judgement. In the Advent promise, past, present and future offer God to us, and the preacher has to unite them in a proclamation that has John the Baptist and the Virgin Mary as hinges. Like John, we look back to Isaiah and the coming Day of the Lord, and call people to repent; like Mary we reach into that past to find the resources to open ourselves to the salvific horizon. The important work of Advent preaching, then, is to flow with the richness of the lectionary readings and hymns that inhabit this triple temporality, and offer the paradox of the ‘already’ and ‘not yet’ as a temporality that is also gift: where we find all the time we need. It can and must be, especially in this season of the Last Things, truly parousiac – as Henri de Lubac puts it, drawing on patristic tradition: ‘preaching is the white horse of the apocalypse’, in which the preacher brings his or her auditors to a sense of the crisis of Christ’s presence. Our sermons in this section are examples of this offering of temporality as open to the fullness of the Parousia, when time will flower from the apparent circles and lines of our experience into the spiralling heavenly rose of Paradise, in which all our lives will be enfolded. The SCM Studyguide series reaches a significant milestone this month, with the publication of the 20th title in the series. Published later this month the latest addition to our ever-popular Studyguide series is The SCM Studyguide to Theology in the Contemporary World. No sooner have they mastered the basics than students of theology can quickly find themselves in over their heads. They are bombarded with claim and counter-claim as soon as they want to tackle anything topical. The contentious subjects tend to be the historical Jesus, gender and sexuality, or the atonement. Other subjects might be less contentious but attract an astonishing excess of literature. Take the vast literature tackling the subject of the Church, for instance, or the bloated body of tomes on various aspects of Pneumatology. Theology in the Contemporary World tries to provide the bewildered and intimidated student with a primer that is at once introductory and incisive; approachable and informative. It will help those training for ministry to recover their fascination for the subject of theology and how it could apply to their future ministry. We asked the author, Ben Pugh, who is lecturer in New Testament and Applied Theology at Cliff College, UK, to reflect in a few words on why he wrote the book. As I write this I have just come to the end of a week of teaching which is called the Cliff College Autumn School, hosted off-campus at Westminster Central Hall in London. It is an introduction to all the doctrines of the Christian faith for anyone who is interested. I have had a wonderful time right in the heart of the heart of London with a class of 15 eager participants from quite a staggering range of different backgrounds. Delivering this course has reminded me of all the reasons why I wrote the SCM Study Guide to Theology in the Contemporary World. One of the main reasons is that I love the fact that ordinary non-academic people want to learn theology and have deep questions about it which they want explored and answering deeply. Time and again I have come across a real hunger for theology in people, yet the theology they crave is of a kind that is surprisingly hard to come by. I still remember the first time I ever heard Christopher Landau at a theology conference. At that time he was the Religious Affairs correspondent for the BBC World Service. He talked about how, whenever he interviewed a theologian he would ask them to explain whatever theological topic was being discussed in just twenty seconds. This, Christopher pointed out to us, is the length of time it takes to read out loud the Parable of the Good Samaritan: a profound, provocative, yet short and simple parable of Jesus. Invariably, however, the response from the theologian to Christopher’s request would be, ‘Oh no, no, no. I couldn’t possibly explain such complex ideas in twenty seconds.’ And herein lies our problem today: there are plenty of people who want theology – especially those who are training for the ministry – but not many writers and teachers that can give it to them in a way that is at once profound and humane. Nobody wants dumbed down theology. Nobody wants to be patronised. But plenty of people want a warm and friendly way into degree-level theological learning. It is my conviction that academic theology, no matter how advanced, is of interest supremely to the Church and theologians can only really discover the joy of their calling when they make their craft completely accessible and useful to the Church. It is for this reason that, when Christopher Landau gave his seminar that day I thought: ‘Yes! At last someone who is speaking my language!’ He put into words convictions of mine which were so deep I had not yet found the words. 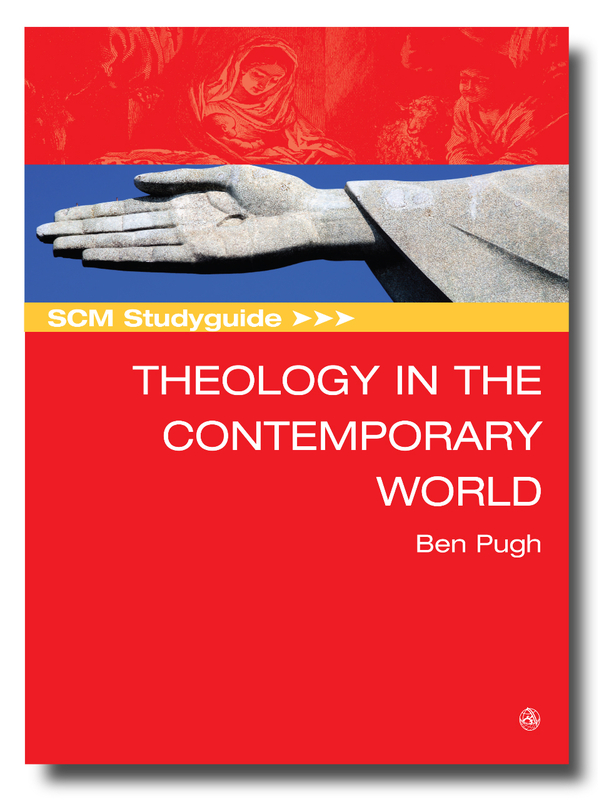 To celebrate the 20th book in the series, we’re offering a 20% discount on all 20 of the studyguides, including Ben Pugh’s SCM Studyguide to Theology in the Contemporary World. Click here for more details. The ocean dominates the surface of the earth and is surprisingly prominent in the pages of the Bible too. The Bible offers a view of the sea and the life it supports which affirms its intrinsic value to God as a good, and indeed essential, part of creation. At the same time, it also speaks perceptively of the sea’s vulnerability to damage and change. The Bible’s focus on the sea raises questions about economics and the interconnectedness of communities, whilst further references to the sea raise questions about our human-centredness and spirituality, and about our fear of chaos and disaster. In a unique collaborative project, the oceanographer Meric Srokosz and the biblical scholar Rebecca Watson not only offer ecological insights on the sea, but also connect the ocean with other key issues of broader concern-spirituality, economics, chaos, and our place in the world. Perhaps you have been puzzled by this verse from Isaiah, and the similar verse in Habakkuk 2.14? On one level the meaning is obvious: according to Isaiah 11.9, at some point in the future people will fully know the presence of God and live in the light of that knowledge: in justice, peace, righteousness, and holy fear (cf. 11.2−5), so that there is harmony between species (cf. Isaiah 65.17−25).1 In Habakkuk 2.14, it is the glory of God − his splendour, power and majesty, but also his awesome presence – that will be acknowledged throughout the earth. But on another level it contains a mystery: what does it mean for the waters to cover the sea? Surely the waters are the sea? We shall return to the meaning of these verses later. For now it serves as a starting point for outlining what we are attempting to do in this book. The aim is to examine what the Bible says about the sea, hence the ‘Blue Planet’ of the title. We have found that the passages concerned with the sea challenge our thinking about God’s relationship with this important part of his creation and how he might feel about it, hence the ‘Blue God’ part of the title. Much of what the Bible says regarding the sea seems mysterious at first sight, but this forces us to reflect more carefully on its message. Even more that very process will challenge our thinking on many issues that we as human beings face in today’s world. Little has been written on the Bible’s view of the sea. Traditional scholarship has tended to see the Israelites of the Old Testament as somewhat divorced from maritime concerns (with the possible exception of the story of Jonah). However, as we hope to show in what follows, this approach neglects the large amount of Old Testament material on the sea. New Testament scholarship has paid a little more attention to this topic, not least because Jesus recruited fishermen to be his disciples and spent some time in boats on the Sea of Galilee. In addition, Paul missionary journeys involved Mediterranean voyages and both Jesus and Paul experienced storms at sea. Despite this, there has been nothing written that looks at both the Old and New Testament material on the sea as a whole. This book attempts to remedy that lack to some degree. The book came about because one of us (Meric) is an oceanographer and goes to sea to carry out research. In reading the Bible he became aware of the wealth of material on the sea but found that biblical scholars had written little on this subject. He enlisted the help of a biblical scholar (Rebecca) and initiated the ‘Sea in Scripture’ project at the Faraday Institute for Science and Religion (where he was the Associate Director at the time). The outcome of this research is to be twofold: both this book and a more academic monograph. The book has resulted from our growing conviction as we studied the topic that the biblical material on the sea provides a ‘lens’ through which we may be challenged about our attitudes and behaviour – essentially, how we are to live in what the Bible understands to be God’s world. The Bible is the product of a faith community and written for people of faith. As such, it seeks to elicit a response and to effect changes in people’s lives. If study of the Bible evokes in us a desire to respond to God and to live our lives in the light of his character and purposes both for us and for his creation then it will have fulfilled its purpose. It is our conviction, though, that it can offer provocation and challenge, vision and hope, to anyone, regardless of their personal beliefs. Its call to justice and integrity, love and responsibility, in our conduct towards others and to the rest of creation (among other virtues), can speak to all of us. In addition, as an ancient text, even the most recent parts of which are not much less than 2,000 years old, it offers a window on to a way of living and perceiving the world that is far removed from the modern Western, individualistic and largely urban perspective that we inhabit. This cultural gap can enable us to re-evaluate some of the often unreflective assumptions that motivate our responses, not least in relation to some of the most pressing modern issues that demand our attention; these will be considered in what follows. Our hope is that readers will be provoked and challenged by what follows and then respond accordingly. If that happens, then the book will have achieved its aim. Blue Planet, Blue God is available to preorder now at a special pre-publication price of £15.99. Find out more on our website.